Turning your home into a smart home is something that is growing rapidly in our society today, and not just with the super techies amongst us. Both geeks and non-geeks alike have gotten the home automation bug under their skin. Most are starting out small by implementing just a few smart home tasks, such as the ability to sit back in their recliner and use an app to turn on or off their lights or to raise or lower their smart thermostat. But then of course there are always those that are moving full speed ahead, meaning if it’s not yet on a shelf or in a store, they’re perfectly willing and capable of building it themselves. Such as? Such as creating a device with linear actuators to raise, tilt or lower their television from the heart of their entertainment center, something that may sound difficult, but really isn’t. Whichever group you belong to though, you both have at least one thing in common, and that is that once you start automating your home you have to then choose which hub you’re going to use. What’s a hub? A hub is basically your command center for your smart home. It is usually a small box, a bit like a router, that allows you to have control over all of your smart home devices, such as your Phillips Hue Lights, Sylvania Lightify smart bulbs, your Nest smart thermostat or “whatever brand” smart irrigation system. 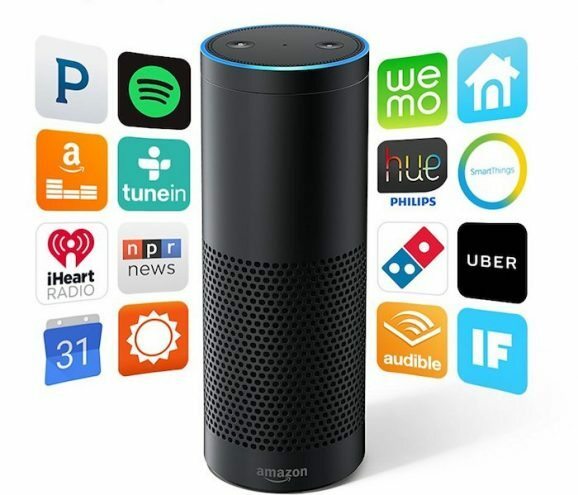 Once you’ve installed these things to do the tasks they’re created for, you connect them to the hub (base unit) and Amazon Echo (if you have one), allowing you to now communicate with them and them with you. 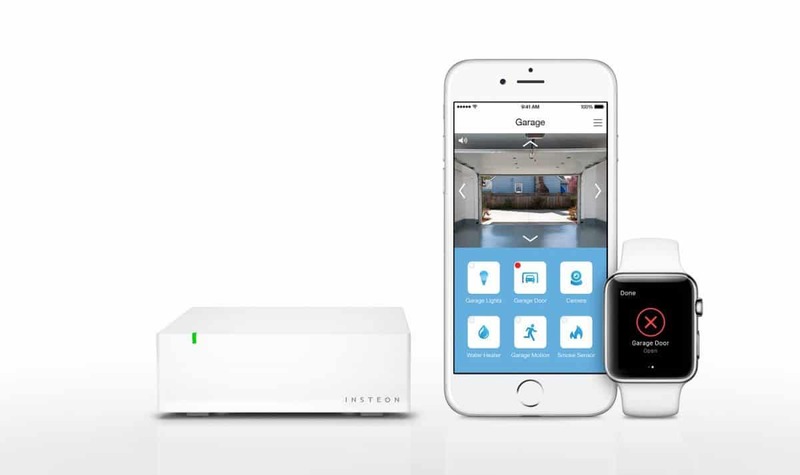 Consider the hub as your base of operations for your new smart home. In most cases you will then use an app to remotely “talk” to your devices, but we also highly recommend adding Amazon Alexa or Amazon Echo if you really want to make your smart home into a genius home, but we’ll tell you more about that later. For now, let’s find the right hub for your home and your life. Below we have found the top 5 home automation hubs for $100 or less, all of which will run your home with Amazon’s Alexa products, or without. The Samsung SmartThings Hub can control over 200 smart devices, which is pretty amazing considering it’s one of the best rated smart home hubs and costs less than $100 (by a couple dollars anyway). Samsung has created most of the devices themselves, and has a full line of products to control lights, security cameras, and even monitor for water leaks, but it also will work most of the big brands that have entered the smart home industry, such as Phillips, Leviton, Schlage, Honeywell, Netgear, and others. 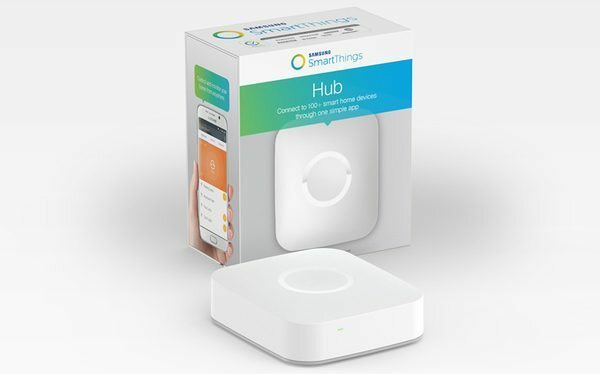 If you’re one of those DIY’ers we talked about earlier that likes to create their own home automation tasks, you can even connect those devices to the SmartThings hub if you built it with a compatible switch such as Z-Wave. One other last feature that not all smart hubs has is that if your power goes out it has battery backup, definitely a nice feature when you’ve automated everything and can’t remember how you ever did it before manually…how’s that lamp turn on? Not a super geek? This hub may just be for you, or so says Insteon anyway, and they’re probably right. The Insteon system is a very easy to install device. Setup takes only a few minutes, even with the multiple products they’ve made to go with it like the LED bulbs, wireless sensors for windows, doors and smoke, or anything you can plugin. Once you’ve screwed in a light bulb or plugged in a device to their special plug-in adapter, all you have to do is connect the hub to power and to your internet and you’re now running a smart home. Have an Apple Watch? Not many allow control through the Apple watch, but Insteon does, and that’s pretty nifty for those of us looking to add as many cool things as we can to our watch. With your watch you can control things like Wi-Fi cameras or access the lights to create your own special mood lighting, for you know, when you’re in the mood or heck, maybe you’re just in a mood. The Wink Hub is the least expensive smart home hub we have listed in our $100 or under list, yet it’s also one that is the most compatible with other smart devices. The list of devices you can connect with the Wink Hub is larger than any of the other hubs mentioned here. There is a slight tradeoff say some, and that is that it’s not as powerful, however, the amount of customization you can do with the Wink Hub more than makes up for that. There is really not much that you won’t be able to control when you pair the device with the Wink, and even better next if you add the Amazon Echo to the plan and you will just barely be breaking the $100 mark and you’ll be getting two ways to control your home instead of one. 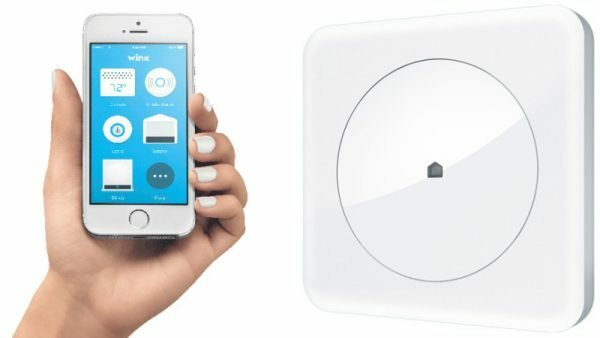 There are too many products to mention that will work with Wink, but to give you some idea it will work with nearly any brands of smart home products, such as security cams, smoke detectors, door locks, thermostats, irrigation controllers, water heaters and other appliances, motorized window blinds, and light controls. 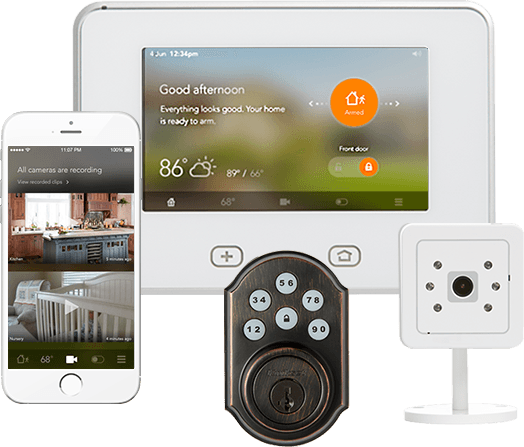 This smart home technology company and product, Vivint Sky, is similar in many ways to some of the security companies that you pay to have monitor your home, like Brinks or ADT. Similarly as well, Vivint charges a subscription fee which the other smart home hubs mentioned in our article do not. It may be worth it though, since it does offer free installation and free equipment (up to a certain amount) in exchange for that monitoring fee. It can also connect with the Amazon Alexa or Echo and like the rest will monitor doors, windows, smoke detectors and motion detection. It can also work with the Nest thermostat and a few other smart home devices, making it one of the top smart home automation products for your home if you want to control safety and security too. Note about Vivint Sky: This almost didn’t make our list because even though it’s technically under the $100 (by a dollar), it has subscription you have to pay for. 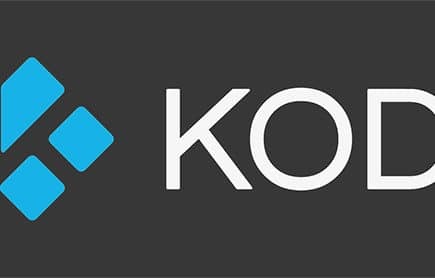 But, we added it because it’s a bit different than the others and therefore, may appeal to those wanting more in the security range of home automation products but also the home automation part too, such as opening a garage door or raising the thermostat a few degrees. 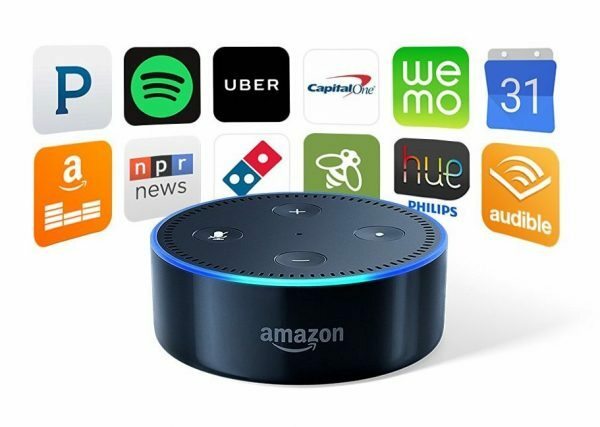 The Echo or Echo Dot give you more than just home automation, because by adding Alexa you can also ask it questions (what’s 2 + 2…okay, maybe not that one), have it play your music, add things to your calendar for you, make phone calls (with the right app), setup your Uber ride, or even order a pizza. The home automation though is why you started down this path, so pairing it with Alexa will give you your gal Friday as she can now control for you your lights by Philips Hue, your thermostat by Nest, your sprinkler system by Rachio, and much more depending on whichever hub you picked to pair her up with. The Echo will pair with any of these hubs mentioned in the article and others too, but before buying one not mentioned above be sure you check the Amazon page for compatibility. If you’re now ready to start making your home smarter, be prepared for what comes next, which is a sudden want to automate everything in your life. But let us leave you with a few last pieces of advice, the first of which is that if you do want to keep adding to your system, be sure to get the smart hub that you can grow with. One that allows for multiple brand cooperation and connectivity and will extend to all areas of your home, inside and out, should you so desire. Secondly, wait for version two of some devices (especially the expensive or no-name brands) to come out, because version one is usually a waste of money until all the bugs are worked out. With the right hub and, in my opinion, with the pairing up of Amazon Echo or Echo Dot, you can have a smart home that even Bill Gates would be in awe of. 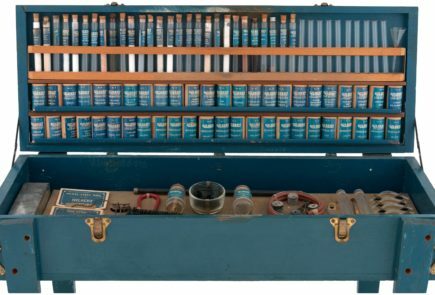 Okay, maybe not Bill Gates the Microsoft inventor, but Billy Gates, your neighbor.